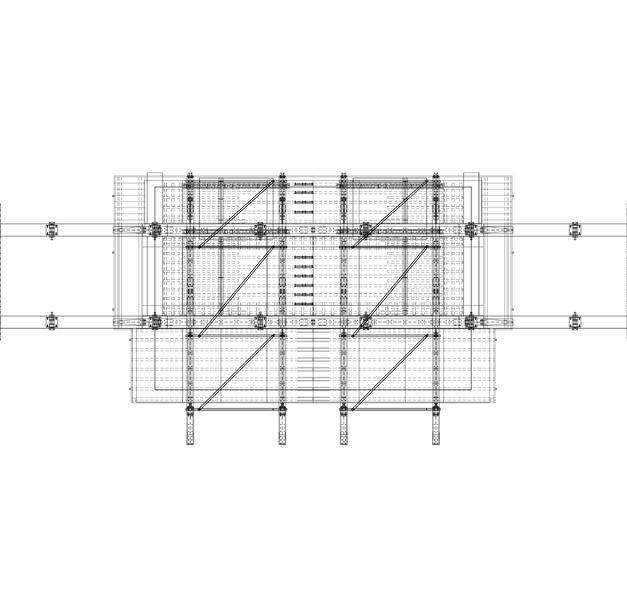 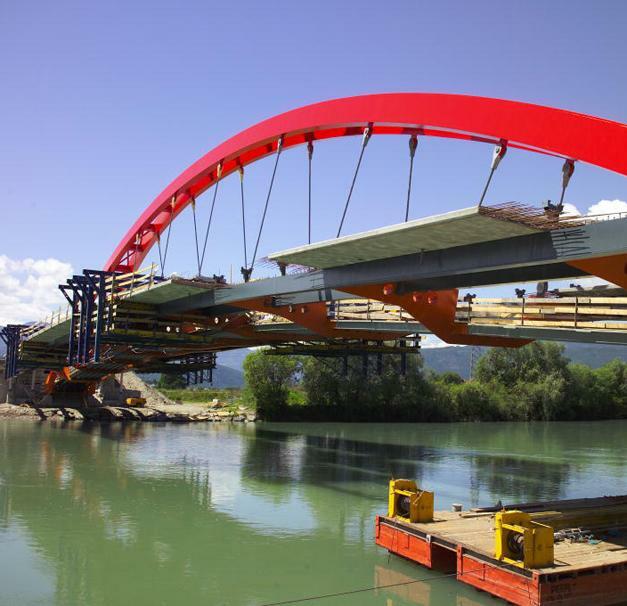 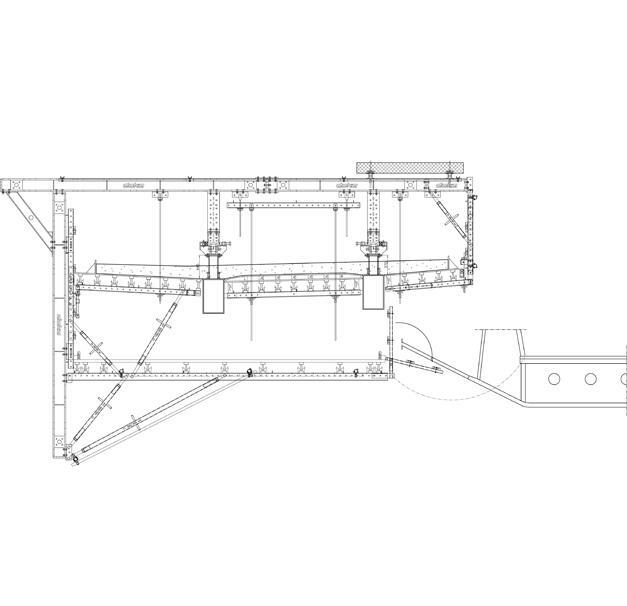 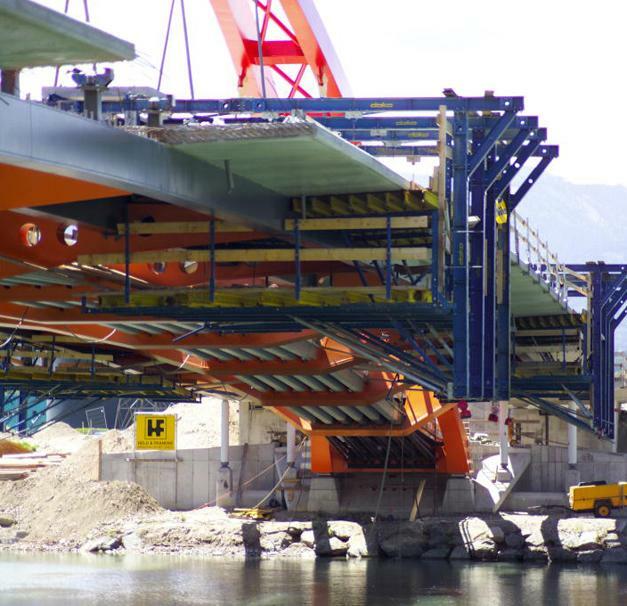 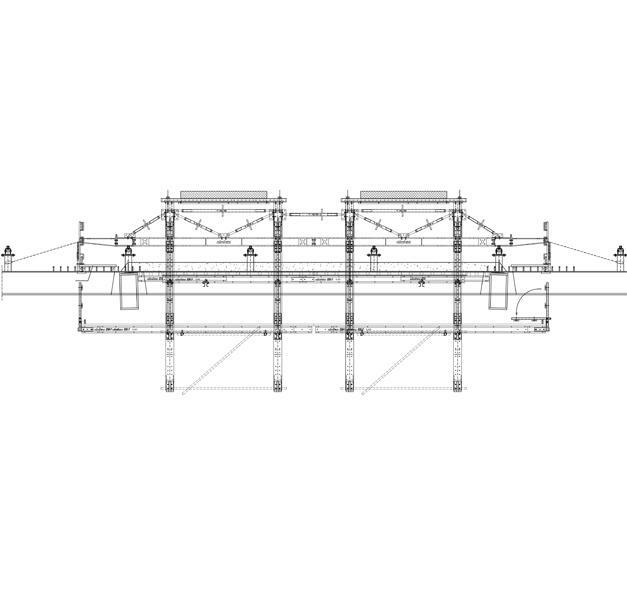 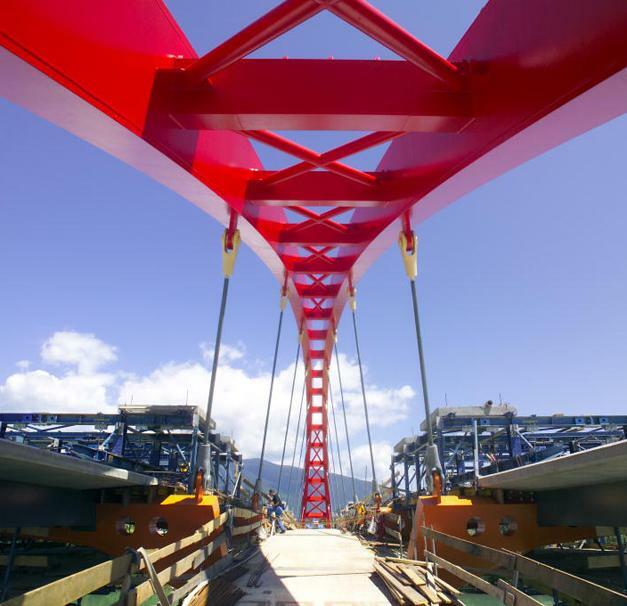 A special feature of the constructional design of this bridge is its unusual cross-section, with slender longitudinal girders and massive cross-girders suspended from the bridge arch. 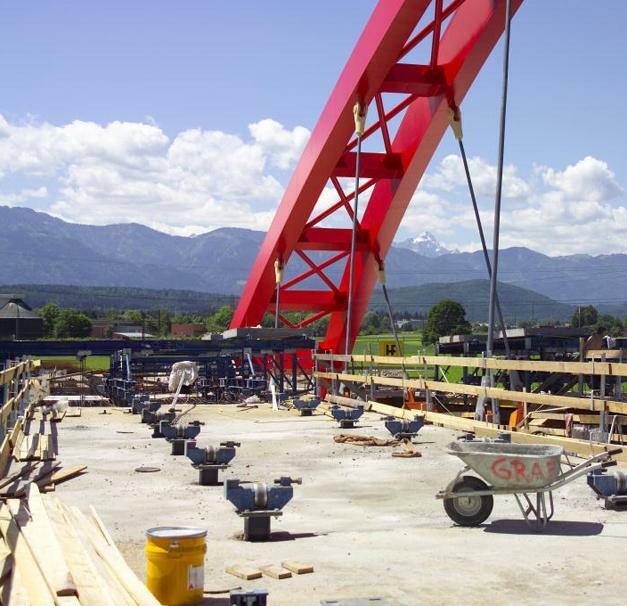 Directly beneath this steel arch there is a pedestrian walkway and cycle path, running between the two separate carriageways. 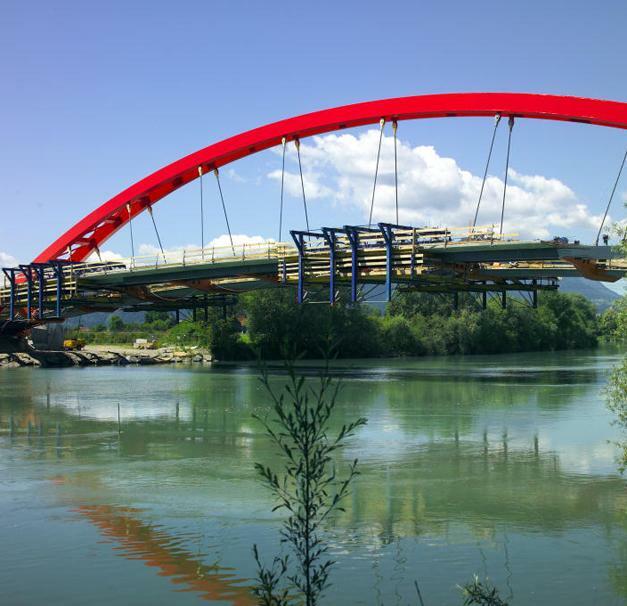 Thank you for your interest - Ponte sulla Drava di Villach. 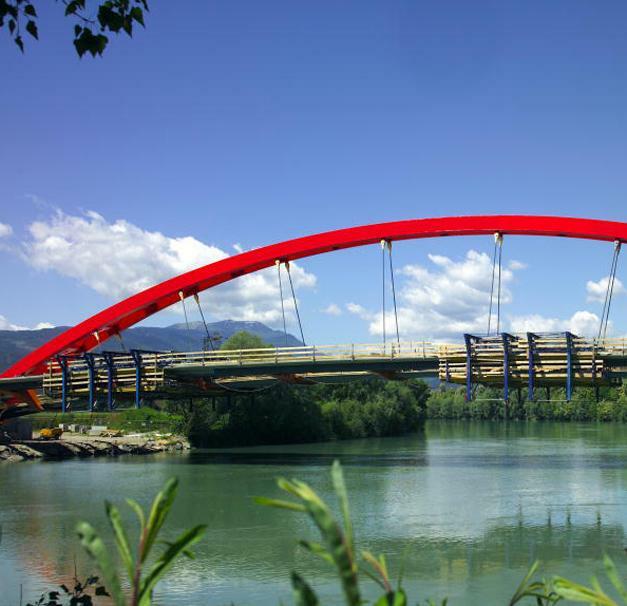 Thank you very much for your interest - Ponte sulla Drava di Villach.